Owning a successful beauty salon comes as a real challenge for salon owners unlike other businesses. Todays’ customers are highly knowledgable and are aware of emerging beauty trends & know exactly what they want from your salon. If your are not up to date with the latest services, products, booking processes and customer preferences you might lose out big to the tech savvy salons and spas who embrace technology assistance for their business success. Beauty salon software that make salon management hassle free and productive. 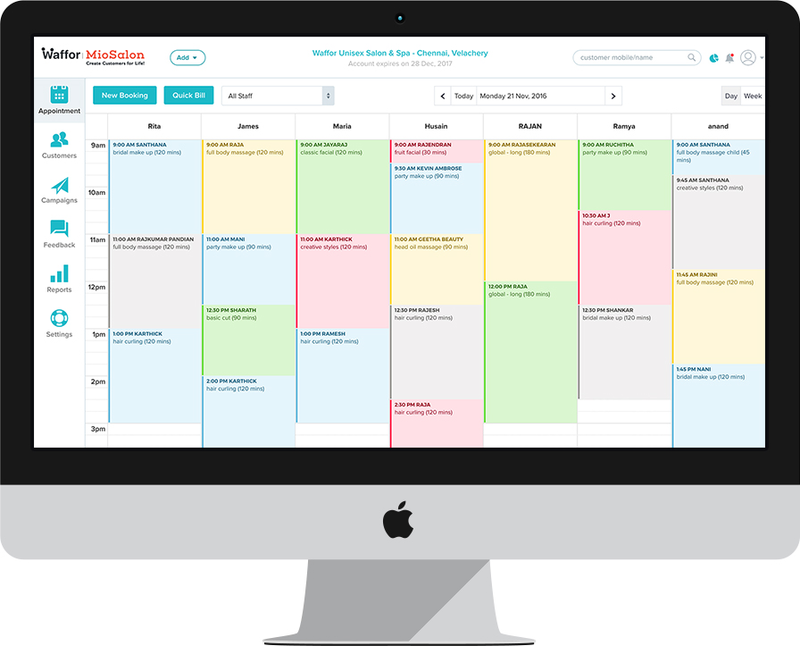 Boost your salon business with powerful and flexible features, appointment scheduling, Point-of-sale and automated marketing solutions. Capture customer details, visit dates, service preference, stylist preference, product preference. Get a 360 degree customer profile to understand their needs better. Create a Free Account MioSalon is an easy appointment scheduling and billing software for beauty salons.